Patients who need frequent hospitalization account for a disproportionate amount of health care spending in the United States. 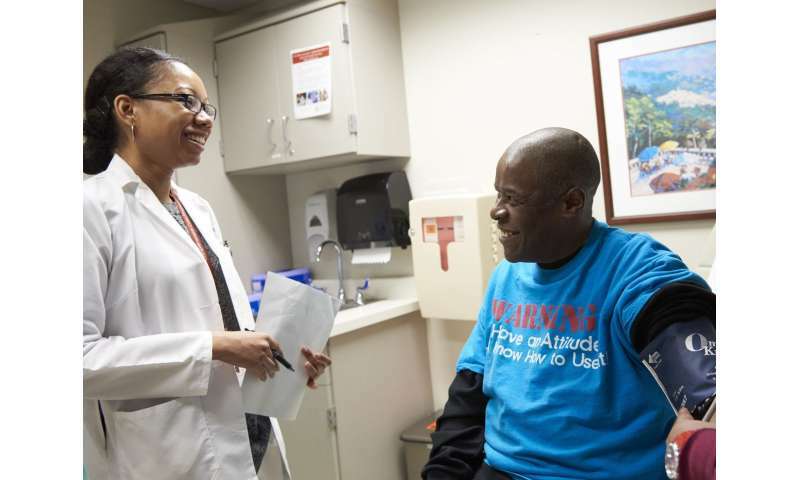 In 2012, the University of Chicago Medicine—funded by a Health Care Innovation Award from the Center for Medicare & Medicaid Innovation—began enrolling patients in a clinical trial designed to test an imaginative way to reduce such hospital stays. The study, featured in the May 20, 2018, New York Times Sunday Magazine, was designed to determine whether doctors who focus their practices on the care of patients in and out of the hospital, known as comprehensive care physicians (CCPs), could improve care while reducing hospitalization for a highly vulnerable set of patients at high risk for being hospitalized. The core element of the CCP model is that the same physician provides care for patients in the clinic as well as in the hospital. A few CCPs even make house calls. The CCPs also lead a team of nurse practitioners, social workers, care coordinators and other specialists selected for their ability to address the needs of high-risk patients. Each physician carries a panel of approximately 200 patients at a time, serving as their primary care physician during clinic visits and supervising their care whenever they are hospitalized. From November 2012 to June 2016, 2,000 patients with chronic health problems enrolled in the study. Most came from the South Side of Chicago. Most of them had at least one hospital stay in the previous year. All of these patients were covered by Medicare. The model is built upon 15 years of research by study director David Meltzer, MD, Ph.D., professor of medicine at the University of Chicago and chief of hospital medicine, and colleagues, on the changing medical work force in the United States. The model was designed to provide better care at lower cost. In this pilot study, it was able to improve the continuity of patient care, especially during and after a hospital stay, as well as strengthen the bond between doctor and patient. Half of the patients in the study were assigned to "standard care." They connected with a hospital-based primary care physician who saw patients as needed in the clinic, but did not directly take care of them if they were admitted to the hospital. The other half were assigned to one of five CCPs, who saw them during clinic visits and also cared for them in the hospital. When the study was completed, it was evident that the CCP model was both preferred by patients and economically beneficial in terms of reducing health care utilization. "Hospitalization rates for CCP patients were 15 to 22 percent lower than for standard care patients," said Meltzer. CCP patients also reported "a better experience," he added. They gave their physicians higher ratings on the Hospital Consumer Assessment of Healthcare Providers and Systems, a patient satisfaction survey required for all hospitals by the Centers for Medicare and Medicaid Services. The University's standard care physicians scored quite well, in the 80th percentile nationally, but the CCP doctors were in the 95th percentile. They also were ranked higher by patients dealing with mental health issues. 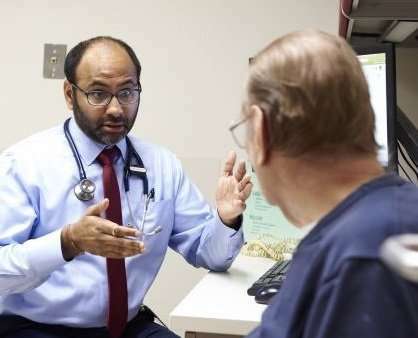 "There's a huge literature suggesting that elements of the doctor-patient relationship, including trust, interpersonal relations, communication and knowledge of the patient, are all associated with lower costs and better outcomes," Meltzer said. The trial, still underway, enrolls patients who are predicted to spend an average of 10 days a year in the hospital. Many of these patients have chronic diseases. Others are geriatric patients living in residence homes or patients with renal disease requiring regular dialysis treatment. This program "may improve patient experience and health status while substantially reducing utilization for patients at increased risk for hospitalization," the study authors conclude. "The CCP model warrants further exploration through efforts to implement it in additional settings and rigorously evaluate its effects on outcomes and costs." "Our goal is to understand patients' needs so that we can give them the most appropriate care," said Meltzer. "That should be better for them, produce better outcomes and ultimately be less costly for the health care system." The next step is an expanded program, the Comprehensive Care, Community & Culture Program (C4P), designed to reduce the unmet social needs of economically and socially disadvantaged patients. About 400 people have already enrolled.